After Samsung announced the Galaxy S7 Edge, I wound up preordering one. When it came in (early, thanks T-Mobile) I was greeted with my first taste of Samsung’s Marshmallow TouchWiz. My Note5 just got 6.0.1 today (No thanks T-Mobile.) 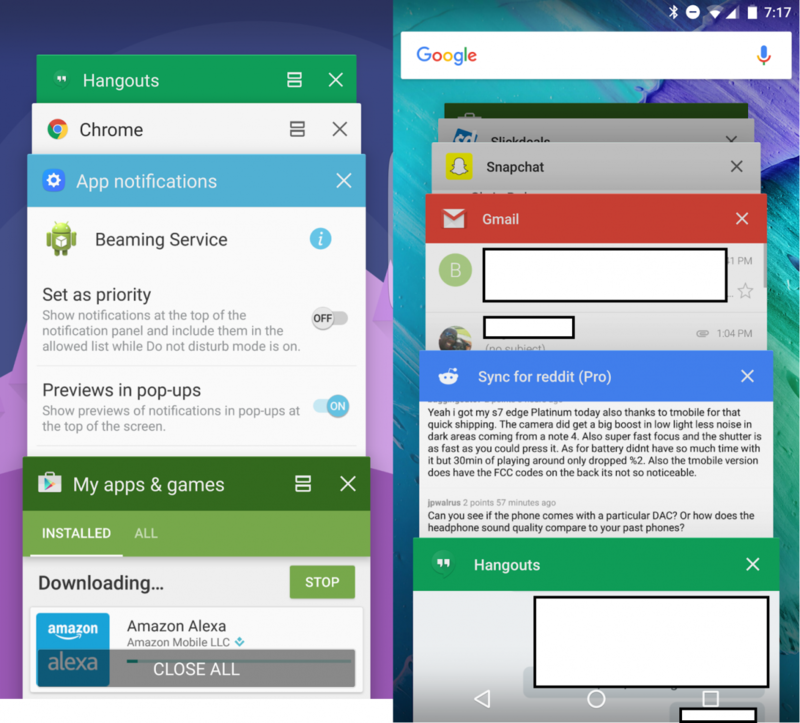 Overall things were fairly similar between the Lollipop and Marshmallow builds of TouchWiz. However, one thing stuck out to me like a sore thumb: the recent apps UI. The third and fourth app have far smaller touch targets. The second recent app has a much larger touch target. There is an obvious close all button that I only ever hit accidentally as it is in prime thumb real estate. 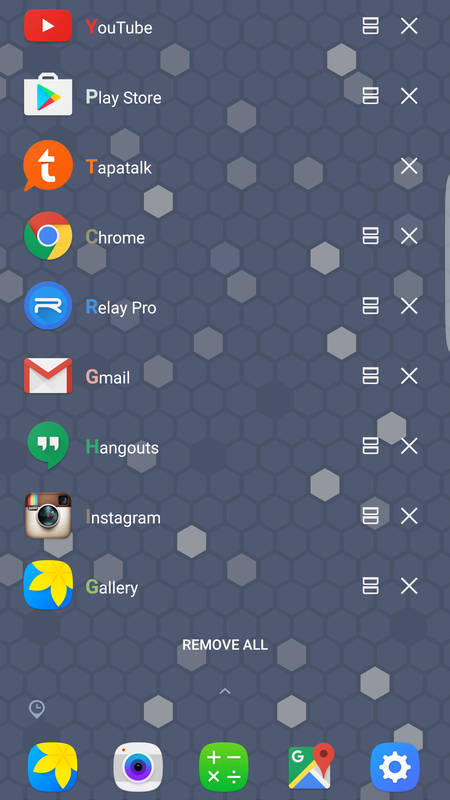 The Google search bar is missing. 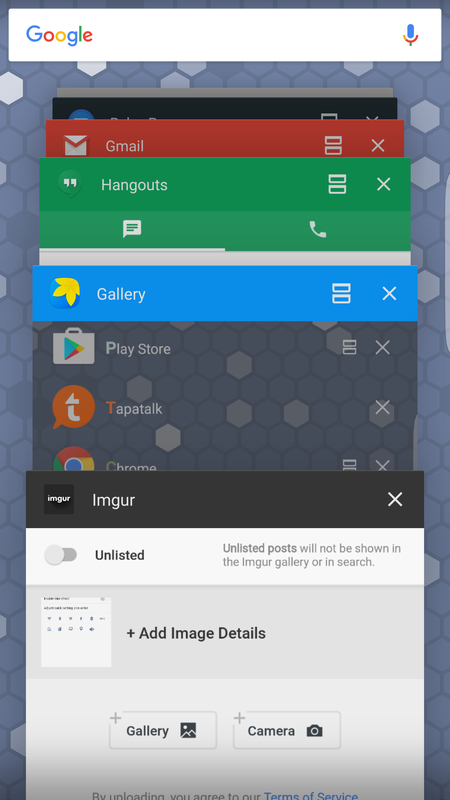 The real problem with this layout isn’t visible in a screenshot. The real problem is how it behaves. Samsung has implemented a sort of pagination in the list of recent apps that behaves just like iOS only in a vertically scrolling list. 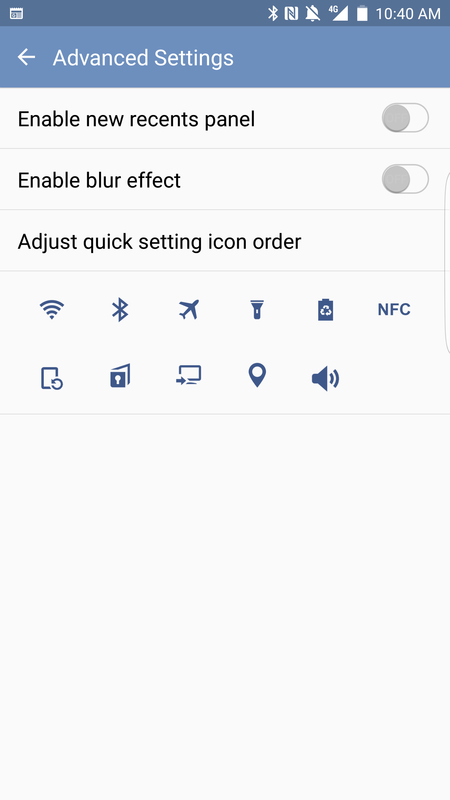 Instead of a continuously smooth scrolling experience like in vanilla Android (and Lollipop TouchWiz) the apps must “slot into the positions shown in the screenshot above. When trying to swipe away apps the user has to wait for the apps to “slot” into position before being able to act on them. I find it to be a pretty annoying implementation. Thankfully, now there’s a solution. Not only is the look back to normal, but the pagination is gone. Additionally, the Google Search bar is present and there is no “Close All” button in sight. It’s like Samsung catered this app specifically to me. Good Lock has fixed my main complaints I had with my S7 Edge. 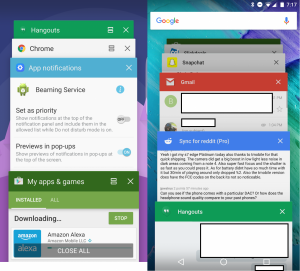 I’m thrilled to see Samsung heading in this direction with SystemUI customizations (or lack thereof.). Now if only they would allow swapping the capacitive button order, I’d be in smartphone heaven. 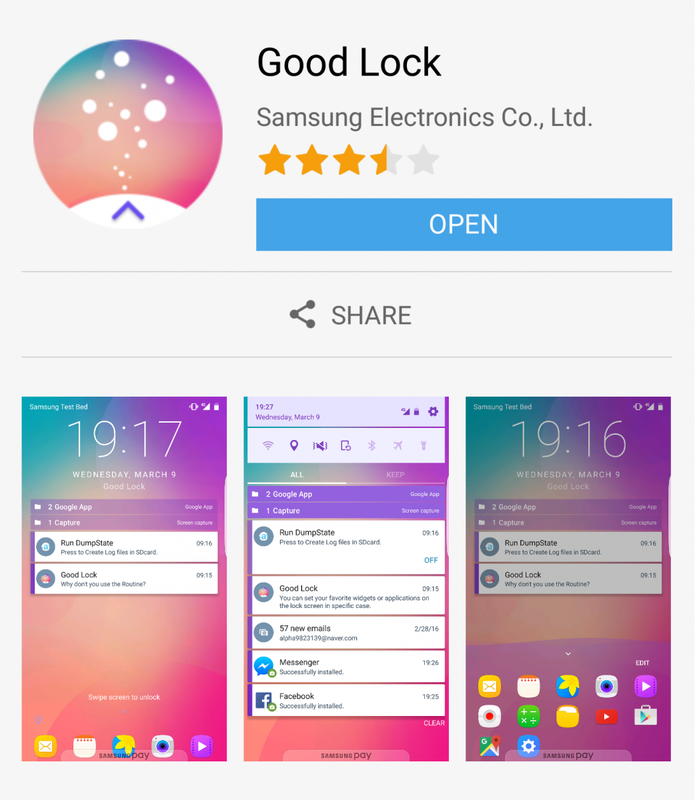 Have you tried Good Lock? What do you think? Leave a comment below! Mechanical Engineer by degree, salesman by day, and a self professed technology lover on the side. Frequent user of iOS Android, OSX and Windows. Buyer of (way too) many flagships and fan of all things mobile. XDA member since 2010.